Hope the last article from PMT gave you a few ideas on evening snacks. What’s the next best thing to do in Monsoon? Some say book reading comes close to enthralling your taste buds. Here are a few books based on food that you might wanna browse through. This masterpiece by Emile Zola has its hero Florent, who becomes a fish inspector at Les Halles after escaping from prison, where he ended up after the French coup of 1851. Food merchants and local cuisine form the subplot and provide the reader with a fascinating experience of France in the 1800s. Look it up and buy, folks. Recently made into a movie starring Om Puri and Helen Mirren, The Hundred-Foot Journey by Richard Morais is about an Indian Restaurant in the outskirts of Paris and the day-to-day affairs of Hassan Haji, an Indian boy migrated from Bombay to the French Alps. For someone interested in food this book offers wonderfully vivid descriptions of meals, cooking techniques, and kitchen life. This has nothing to do with Aliens. Set in late nineteenth century New York, The Alienist is a history nerd’s dream, with fascinating descriptions of early developments in psychology, criminal investigation, New York City, and of course, its food and restaurants. The two protagonists, a crime reporter and an “alienist” (read: psychologist), spend plenty of time at old New York spots like Delmonico’s, complete with lavish meal descriptions and guests like a young Teddy Roosevelt. 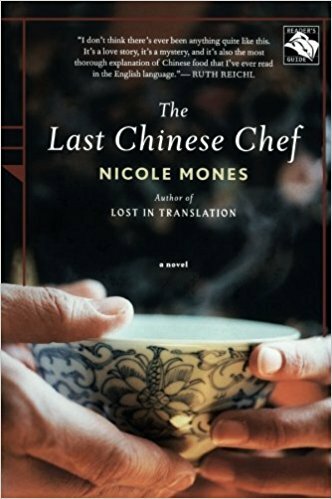 Written by Nicole Mones, it’s a tale of how the best way to understand a culture is through the gut: Maggie McElroy, a recently widowed American food writer, finds herself in China writing a profile a man who is the last in a line of legendary chefs tracing back to the imperial palace. He’s in training for the country’s biggest culinary competition, and as he plans a banquet to end all banquets, McElroy delves deeper and deeper into the roots of Chinese cooking, learning that—as always—it’s about far more than just what’s on the plate! Now, try reading them on if you haven’t already.